Preheat your Yoder Smokers YS640 Pellet Smoker to 400ºF. Lay two sheets of foil on a sheet pan, going opposite directions to form an “X” and spray with non-stick cooking spray. Cut a cross-hatch pattern into the bread, but do not cut all the way through the bottom of the bread, so that it stays together. Place the bread on the foil. 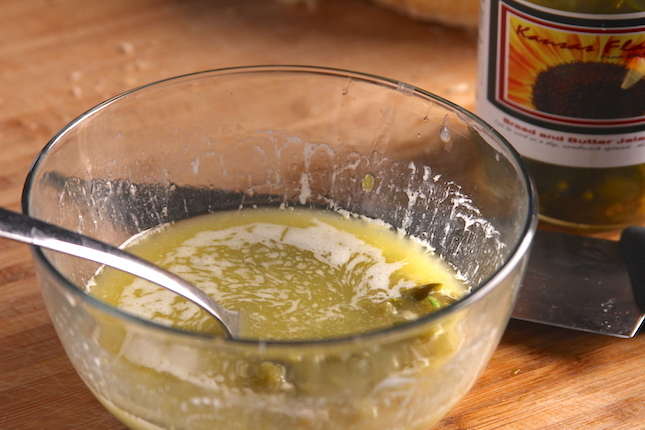 Stir together the melted butter, garlic and Kansas Flavor Bread and Butter Jalapeños. 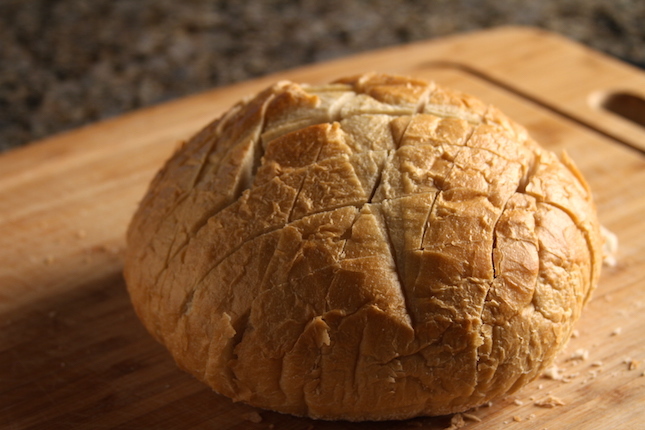 Gently separate the bread with your fingers and spoon the butter mixture in all of the seams, distributing evenly. 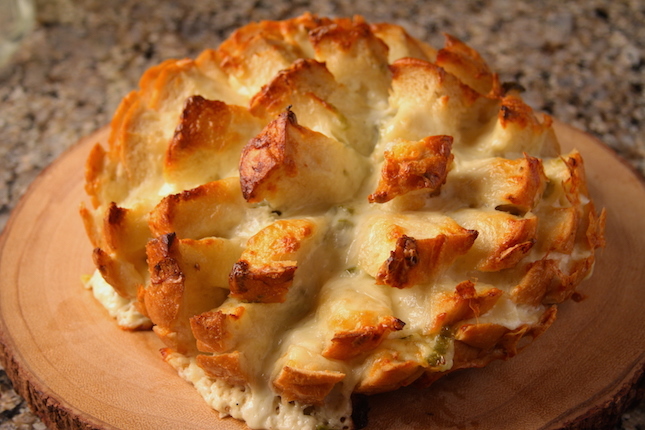 Stuff the cheese in the crevices and sprinkle some on top. Wrap in foil and bake for 20 minutes. 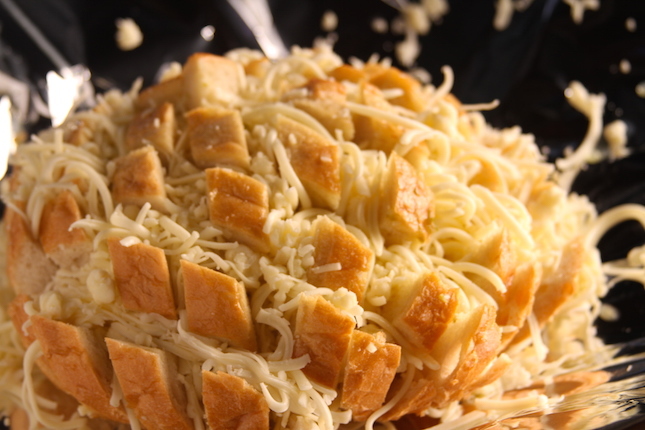 Open foil and continue cooking until cheese is bubbling and begins to brown, about 20 minutes more.